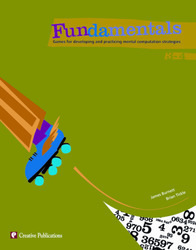 Fundamentals provide teachers with fun and motivating games that encourage students to develop their own strategies for mental computation. Fundamentals are user-friendly and contain reproducible game boards and materials. Students learn valuable problem-solving strategies before, during, and after the game.